Today I have choosen to be a "dark lady". Probably because of the weather and coldness...brrr. 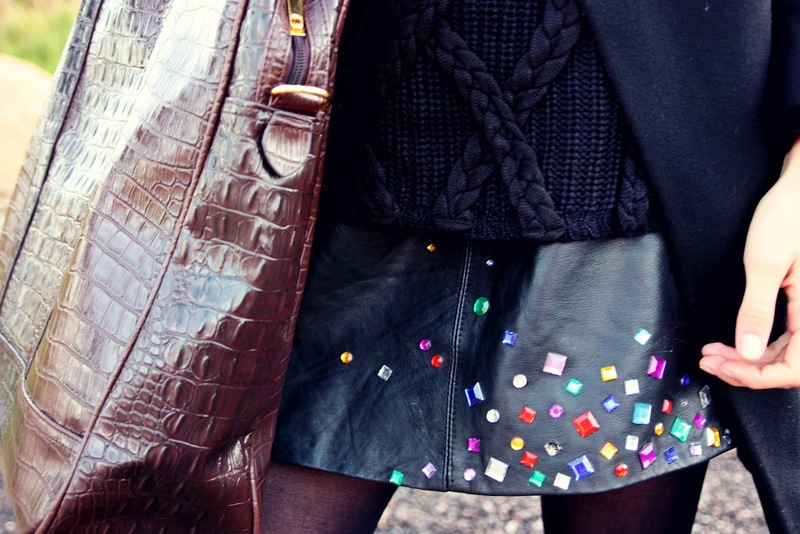 I am wearing my new (actually not new, because it's from second-hand shop) leather skirt decorated by myself with a little colourful diamonds ! And also I finally found my favourite hat with a plenty of pearls, yeeey ! So take a look and keep in touch ! the hat is beautiful where did you bought it ? Thanks again for your lovely comments ! and the coat is also awesome! Nu tikrai sauniai atrodai! Kiek ziurinejau foto tavo vieninteles uzkliuvo, visi derinukai super :) Sekmes !